Send flowers to Costa Rica through our extensive network of local florists in Costa Rica. 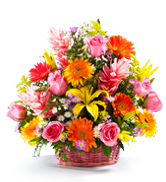 Flowers to Costa Rica can be delivered same day if ordered online by 12 noon in the time zone of delivery. Use our extensive network of local florists and take advantage of an on-time, speedy Costa Rica flower delivery. The gorgeous country of Costa Rica enjoys the ocean on the east and west. When you send flowers to Costa Rica, you take advantage of a fantastic variety that makes for the most beautiful bouquets imaginable. Go to the Corcovada National Park to see an amazing variety of flowers in Costa Rica. Renowned for its diversity, here you will see amazing wild animals and of course a burst of beautiful color. A mild climate and rich volcanic soil makes for an incredible flower experience. The capital city, San Jose, is full of parks and stunning gardens. If you want to see flowers in Costa Rica, then that is the place to go. With influences from many different countries, Costa Rica is a marvelous place to see a huge variety of gardening styles. And when you arrange a flower delivery in Costa Rica, you're tapping into this beautiful vein of floral gold. Do you have loved ones over there? Keeping in touch with them is easy when you send flowers to Costa Rica. The daFlores service makes this trouble-free for you. 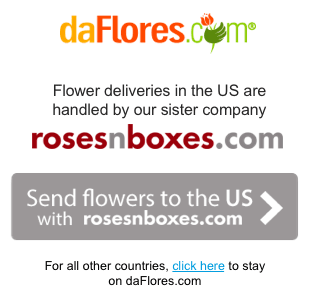 To arrange flower delivery in Costa Rica, just go to the daflores.com website, pick Costa Rica from the country list, and then start browsing. 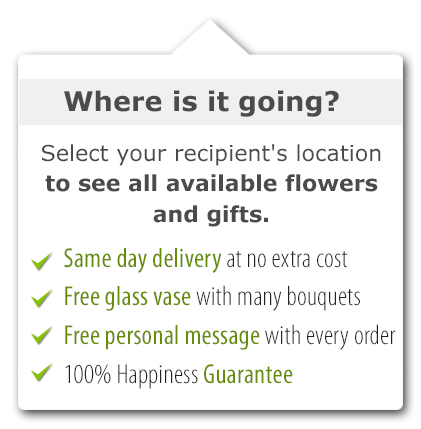 Choose the bouquet you want, fill out a few details, and your gift will soon be on its way. Flowers in Costa Rica make a great gift. With daFlores, you can be sure you're getting the best – flowers that were growing that very morning. To enable your flower delivery in Costa Rica, we work with only the very best network of experienced local florists. Each one must past quality checks. They must be in business for at least a decade, and the flowers are as fresh as can be. Only then will we allow them to represent us with flowers in Costa Rica. Send flowers to Costa Rica and take advantage of the daFlores difference. Our commitment to customer service and quality is second to none. daFlores is a family-owned business with years of passion for the flower industry. When you send your flower delivery in Costa Rica, your loved ones will never see anything quite so special. Through our broad network of local florists you can send flowers just about anywhere in Costa Rica. We offer flower delivery in San Jose among other cities in Costa Rica. Sending flowers to Costa Rica has never been easier or fresher!!! Same Day Flower Delivery to all cities in Costa Rica. Para ver esta página en Español, favor visitar nuestra página de Enviar Flores a Costa Rica.